Join me for a week long yoga and meditation retreat in Italy at gorgeous Insabina from the 17th -24th August. 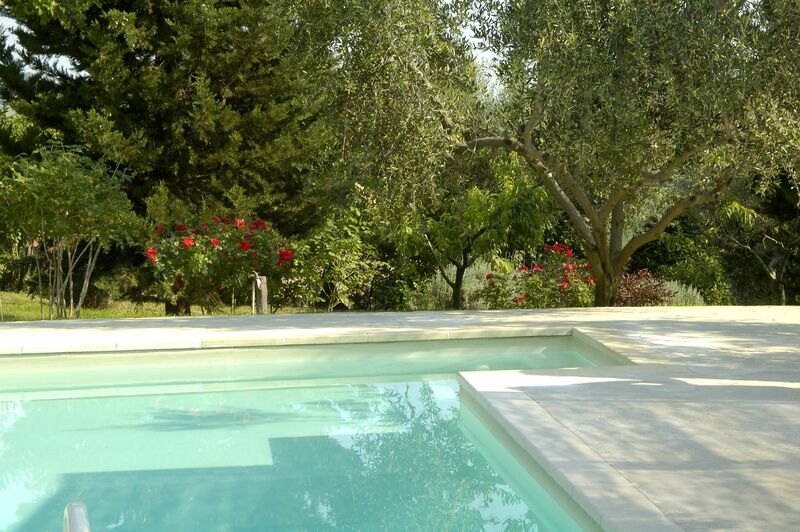 LOCATION: Sabina is a perfect location for a tranquil and restful Yoga retreat in Italy. In addition to the yoga practice you can also explore the countryside and the immediate surrounding area is exquisite and ideal for walking. A winding country road leads from the property to the charming medieval town of Torri in Sabina three kilometres away. Or you can relax by the pool and take in the fantastic views. The property consists of two 17th century stone buildings on 4 acres of land with an outdoor swimming pool. The property is in the heart of the Sabine Hills, just north of Rome near Umbria, set amidst olive groves, woodlands and a rolling landscape. The surrounding area is unspoilt farmland and the house and grounds are peaceful and quiet. The grounds comprise seven lush acres with a natural spring, pond, gardens and outdoor swimming pool. Each day there will be morning and evening two-hour flowing yoga session including pranayama, meditation and asana. Within the grounds next to the olive groves there is a gorgeous and spacious open air yoga platform with stunning & panoramic views of the rolling landscape. The setting is quiet, rustic and an ideal place for tranquil practice. This week will give students the opportunity to practice yoga in an environment which is calm and relaxing. each individual will have the opportunity to practice at his/hers own level, making the week suitable for students of different abilities and those who may have practiced other yoga disciplines. Please note: although all level of experience is welcome, this retreat is not for absolute beginners. MEALS: The meals are vegetarian and special diets can be accommodated if required and ordered in advance. Before the morning yoga practice teas, fruit and juices will be available, there is an area near the pool where to make tea at anytime. Light breakfast lunch & supper will be served alfresco using fresh local ingredients and produce. ACCOMMODATION: All the rooms are beautifully designed in a natural and simple style, in a combination of modern and old. Yurts within the grounds are also available for a reduced fee. There will be a maximum of 15 people on the retreat, Triple, double and single accomodation are available. * please note that triple room price apply only if the room is filled with three persons or twin room price will be applied. There are only 4 en suite and rooms are assigned on first come first served. The price includes: all yoga, three meals/day and accommodations. The price excludes: travel, insurance & transfers and one evening meal out at a restaurant and transport to and from, massage and other therapies. Booking: A non refundable deposit of £320 for shared occupancy and £420 for single occupancy is required to book your space, the remainder of the cost of the holiday is due on 5th July Refunds for cancellations are at our discretion. Please email shemovesme77@gmail.com for booking form. GETTING THERE: In Sabina is within easy access of Rome and its airports. It is approximately one hour from the centre of the city (by car or train) and around 1.5 hours drive from both airports. Transport to and from Insabina can be arranged via Train and Taxi or Airport Pick Up. Arrivals and departures Arrival time on Saturday is after 4.30pm and departure time is by 10.00am (or the 9.40 train) on the following Saturday. Nathalie Mukuesheva is a fully certified/ RYT full time Yoga and Floor-Barre teacher based in London. She teaches regular yoga classes and workshops at many top studios in London including Alchemy Centre, Yoga Place E2, L!fe Shoreditch and H2 Soho and is a guest yoga teacher for Chaya Yoga Retreats both in the UK and abroad. She is the featured Teacher of the Month in Yoga Magazine UK’s June issue.